How does Scientific People Analytics compare with other people analytics approaches? In the final article of this four-part series, Dr Max Blumberg compares the Scientific People Analytics (SPA) to other commonly used people analytics approaches. Which methodology will come out on top? To briefly recap, part 1 of this series demonstrated that unlike marketing and manufacturing, people analytics has been relatively slow to adopt methodologies based on the scientific method. 1. 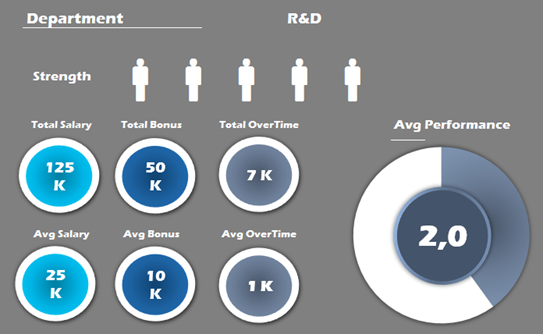 Correlation to quantify the impact of people processes on business outcomes. 2. Isolation to demonstrate that these business outcomes are the result of the modified people process, rather than other possible factors (such as a change in the economy or new organisational leadership). Scientific analytics is fairly standard in many other business functions, but is not yet widely used in people analytics. 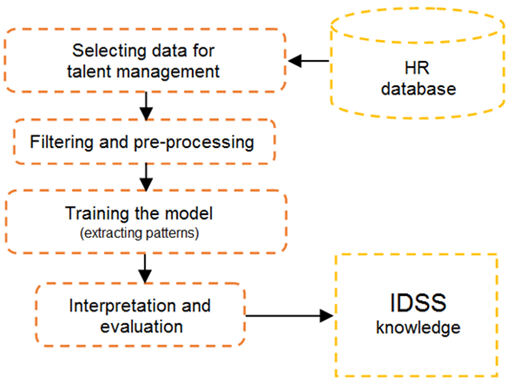 This final article of the four-part series compares the extent to which three people analytics methodologies (reporting/visualisation, data mining and Scientific People Analytics) support executives in making human capital investment decisions in the service of achieving desired business outcomes. In particular, we will focus on the ability of each methodology to deliver two key criteria for executive decision-making: correlation and isolation. People analytics exists primarily to help managers make better decisions about human capital investments in people processes, with a view to achieving desired business outcomes. Better management decisions, in turn, rely on two fundamental analytical techniques: correlation and isolation. For example, if the proportion by which employee performance and revenue change over time is extremely similar, we would say that employee performance and revenue are strongly correlated. If they don’t tend to vary much together, then their correlation is weak. In most commercial organisations, delivering adequate return on investment (ROI) to shareholders is a key business outcome metric. If a company does not deliver adequate ROI, its shareholders usually withdraw their capital, its share price falls, and the company becomes undercapitalised resulting in either increased borrowing and debt, or layoffs and closure of facilities. In extreme cases, some companies simply collapse (as happened, for example, to Woolworths and Marconi). Therefore, before investing in resources like technology, financial assets or human capital, executives usually ask their financial teams whether the investment is likely to yield sufficient ROI to meet shareholder expectations. In effect, they are asking about the size of the correlation between the proposed investment and the likely business outcome. But there is an catch. 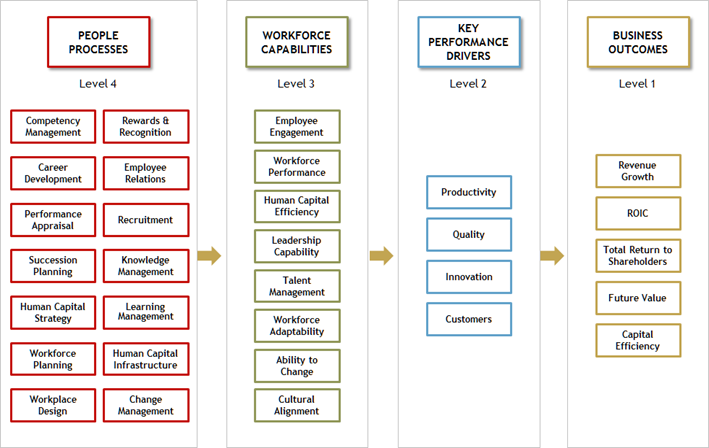 While financial teams have methodologies for correlating investments in financial and tangible assets with business outcomes and ROI, they usually don’t have techniques for correlating human capital investments with business outcomes. And because these correlations are unavailable, executives tend to view human capital investments as inherently risky compared with alternative investments where such correlations are available, like robotics and automation. Hence rather than making investments with uncertain outcomes in cashiers, factory workers, and call centre representatives, for example, executives prefer to invest in automated supermarket checkouts, robotics and chatbots. This is not to suggest that automation investments deliver greater ROI rather human capital investments: on the contrary, human capital investments may deliver greater ROI in the medium- to long-term. But what they do offer executives is greater certainty because correlations between investments and business outcomes can be measured. What about correlations with other business outcomes? Of course, ROI is not the only business outcome of interest to executives. Non-commercial organisations, for example, may also be interested in the impact of human capital investments on outcomes like patient care or public sector improvements. Even in these non-commercial cases, the same principle applies: from an executive perspective, if their teams can’t correlate investments in an asset with the desired outcome, executives will tend to avoid investment in that asset wherever possible. Isolation, as discussed in part 3 of this series, is another useful criterion for assessing the effectiveness of people analytics techniques and interventions. As a reminder, isolation is used to show that improvements in business metrics are the result of a specific people process, rather than other coincidental factors such as economic change or a new product introduction. It is typically implemented using control groups and other research designs. How do reporting/visualisation (Figure 3) meet the criteria of correlation and isolation? Reporting/visualisation present people data via tables, graphics and dashboards. They do not, however, calculate correlations between metrics. For example, while they may show simultaneous decreases in both learning and development spend and employee performance, they do not calculate the correlation between these decreases and therefore provide no basis for investing in training and development to improve employee performance. The reporting/visualisation methodology makes no attempt to demonstrate that an outcome metric has increased because of changes to a people process as opposed to changes in some other causal factor. In other words, there is no concept of isolation in this approach. Reporting/visualisation are therefore limited in their ability to support executive decisions. But that does not mean they have no use. They are indeed helpful tools for supporting middle management with monitoring operational factors such as salary, performance and attrition. Data mining methodologies trawl large people datasets, calculate correlations between metrics, and report on those that look sufficiently high (Figure 4). The usefulness of such correlations for supporting executive decisions is, however, questionable. For example, say that data mining reveals a correlation between employee engagement and performance. What it does not tell us is whether employees with high engagement scores subsequently go on to perform better, or whether employees who achieve high performance ratings subsequently experience increased engagement. We therefore do not know whether to invest in improving employee engagement to improve performance, or whether to invest in employee performance to increase engagement. Another drawback of data mining is that it does not attempt to isolate the impact of one metric on another; in other words, data mining does not consider isolation. Therefore while its use of correlations makes data mining more advantageous than reporting/ visualisation, its lack of ability to isolate limits its usefulness as an executive decision-support methodology. Scientific People Analytics is based on the scientific method from which the concepts of correlation and isolation have emerged. Specifically, SPA uses a variety of techniques to examine correlations between metrics such as the Value Profiler described in Part 2. In addition, SPA uses isolation to ensure that any changes in business outcomes were indeed the result of people process modifications rather than external factors. This means that SPA is an ideal methodology for supporting executive human capital decisions. Despite this, however, it is used by only a small number of organisations. There could be many reasons for this. For example, Professor Andy Charlwood of Leeds University Business School argues that most companies focus on cost-based strategies which means “improving the efficiency of HR operations through the adoption of new HR information systems (HRIS). These HRIS may have some analytics capabilities, but analytics is not the key reason for their adoption”. Thus they are limited – at best – to reporting/visualisation and data mining. Another possible reason for the low level of SPA adoption is that it requires a greater investment in analytical skills and competencies than simpler approaches. The return on this investment, however, is likely to be substantially greater than the equivalent returns on investments in reporting/visualisation and data mining skills. This series has focused on people analytics as a tool for supporting management decision-making and, in particular, the role of Scientific People Analytics. It was noted that while SPA is employed by business functions such as marketing, logistics and R&D, HR has been slow to embrace it and preferred to remain with the more basic methodologies of reporting/visualisation and data mining. While reporting/visualisation are useful for supporting middle management operational decisions, they lack the power of SPA to support senior management human capital decision-making. While SPA requires great analytical capability than simpler methods, it also promises a significantly larger return on investment. Demand for SPA should ideally be driven by senior management rather than be “pushed” from lower down the organisation. A useful first step, therefore, is to consider a senior management education programme in the benefits of SPA. A suitable syllabus is available here. The next step is to identify specific strategic business problems likely to be rooted in workforce issues, perhaps around productivity or revenue issues. Rather than seeking to immediately build in-house SPA capability to address these issues, consider outsourcing skills to test the use of SPA in your organisation. After a number of successful outsourced projects, it should become clear whether SPA is a good fit for your organisation. This is the point to start developing in-house SPA capabilities to reduce reliance on external resources. It may well be the case that analytical capabilities can be pooled across functions in your organisation.